By Peter Anderson 2 Comments - The content of this website often contains affiliate links and I may be compensated if you buy through those links (at no cost to you!). Learn more about how we make money. Last edited April 9, 2013 . With tax filing day quickly approaching on April 15th, if you haven't filed your taxes already it's probably a good time to buckle down and get started on organizing your paperwork so that you can file. 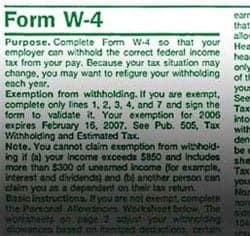 You don't want to be one of those people missing the tax deadline and filing for an extension, do you? I'm a serial procrastinator when it comes to things I don't enjoy, like doing taxes, and as such I've put off doing our taxes even though I've had most of my documents ready to go since February. I'm expecting to see a big tax refund this year because I paid a few too many estimated taxes in 2012 (to reach the 100% of previous year's taxes paid threshold), so I'm not too worried about owing money this year like I did last year. So with tax day quickly coming, I'm scrambling to get organized and figure out all the ways I can save on my taxes this year. This article will go over the 3 main ways that you can save on your taxes. Give to charity: Reduce your taxable income by giving to your favorite charity. We give to our local church which reduces our taxable income quite a bit. Contribute to a pre-tax health savings account (HSA) or flexible spending account (FSA): Contribute funds to FSA or HSA pre-tax and your taxable income will be lowered – and you'll save money on your taxes! We saved hundreds by doing that this year! Contribute to pre-tax retirement accounts: You can contribute to your pre-tax retirement accounts like your 401k and reduce your taxable income. In fact, you can contribute for the previous year right up until tax day! Prepay your mortgage or real estate taxes: If you need to reduce taxable income, you can prepay mortgage payments or real estate taxes, and then deduct them on your taxes for that year – even if they weren't due until January of the following year. Reducing your taxable income is a good way to save on your taxes, but there are other ways. Interest deductions for mortgages and student loans: You can claim deductions for what you paid in interest on your home mortgage and student loans. Deduction for mortgage insurance premiums: Recent legislation re-activated this deduction that you can take for any mortgage insurance premiums you pay. The maximum benefit to the taxpayer is 25% of what you pay for mortgage insurance premiums. Take the medical expenses deduction: If you have a lot of medical bills, you can write off costs that exceed 10% of your AGI in 2013. For 2012, those that exceed 7.5% can be written off. Tuition deduction: You can claim a deduction for tuition expenses. Deduct business and professional expenses: You can deduct expenses related to your job and profession like conference fees, travel, meals and mileage. Deduct taxes paid: Property taxes, state, local and foreign income taxes, real estate taxes, state and local sales taxes and qualified motor vehicle taxes can be deducted. In states with no income tax sales taxes can be deducted instead of income taxes for 2012 and 2013. Job related expenses: Expenses related to job hunting including travel, mailings, agency fees and resume preparation can be deducted in some circumstances – as long you're looking in the same field and it exceeds 2% of AGI. Deduct points paid when refinancing: If you refinanced your house, you get to deduct the points you paid, over the life of the loan. Write off investment losses: If you have lost money on your investments, you can deduct up to the $3000 in investment losses against normal income each year if your losses exceed your gains. Contribute to a 529 education savings plan: You can contribute to a 529 education savings plan and some states will offer a tax deduction for your effort. It also offers tax free growth on savings for your kids or the beneficiary! Deductions have the potential to save you quite a bit of money, so make sure to do your research! Finding and taking available tax credits is a great idea because it will basically reduce what you owe in taxes, not just reduce your taxable income like a tax deduction. Here are a few common ones you may be eligible for. Education tax credits: The American Opportunity tax credit is back for 2012, and can help to defray college costs. Tax credits for energy efficient home improvements: If you haven't already claimed these home improvement credits, The American Taxpayer Relief Act of 2012 has now extended them through 12/31/2013. We've already claimed this tax credit at our house, so we're not eligible. If you can claim it, go for it! $1000 child tax credit: If you have kids you can claim a $1000 child tax credit for each one, subject to income phaseouts. Child care credit: Have your child in daycare? You can claim up to $6000 in child care expenses, but pre-tax flex spending accounts via workplaces usually have a $2500 limit. If you spend above that $2500, you are still eligible to claim an additional $3500, and save more by reducing your taxable income! These are just a few of the more common tax credits claimed, others may be claimed by you if you're eligible, so do your research! There are a lot of ways that you can save on your taxes, you just have to look around, figure out which ones apply to you, and claim them when you file your taxes. What ways do you use to reduce taxable income? What credits or deductions are you claiming this year? 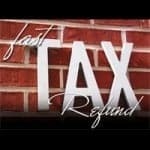 If you're expecting a refund on your taxes this year, there are some things that you can do to ensure a quick refund. Last Edited: 9th April 2013 The content of biblemoneymatters.com is for general information purposes only and does not constitute professional advice. Visitors to biblemoneymatters.com should not act upon the content or information without first seeking appropriate professional advice. In accordance with the latest FTC guidelines, we declare that we have a financial relationship with every company mentioned on this site. This has come in handy in any sort of classes I’ve taken throughout the year, including workshops, lectures, conferences, etc. I am expecting a refund this year. I will have to figure out if it makes more sense to drop the return into a real estate investment or pay off old debt. I will most likely figure that out at the last minute just like my taxes! Previous Post: How Much Should You Contribute To Your Flexible Spending Account?